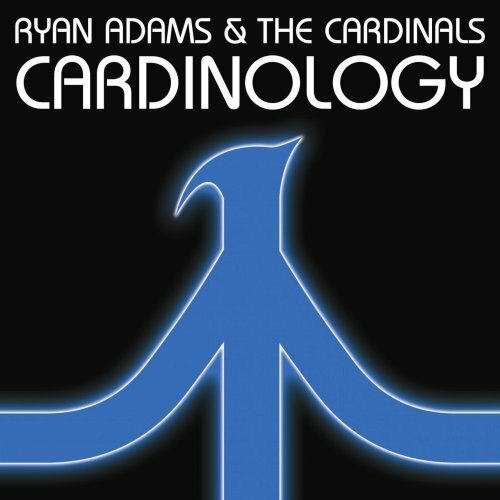 Ryan Adams & The Cardinals’ “Cardinology” is Adams’ first full-length album billed with The Cardinals since 2005’s “Jacksonville City Nights,” but it shows here that both he and his band have gotten their shtick down by now. That’s not to say that this is Adams at his best, but he certainly seems comfortable showing us the usual while experimenting a little as well. The album opens with “Born into a Light” and a guitar hook that fits well into the Adams alt-country mold. The track’s optimism doesn’t seem to fit strictly into that mold, but it’s certainly welcome. Although the song is solid, it isn’t incredibly catchy, a pattern that is repeated until the third track, “Fix It.” “Fix It” and the subsequent “Magick” both switch it up from the expected; “Fix It” is slow, soulful, and again solid, but a poor choice for the album’s first single. “Magick” is a rocking romp that doesn’t hit very hard on a lyrical level, but is a fun track in the midst of more subdued songs. The best the album has to offer comes with “Cobwebs” and “Crossed Out Name,” separated by the twangy and ultimately forgettable “Let Us Down Easy.” These two keepers are both mournful, lonesome numbers with New York City serving as backdrop. The rest of the album’s second half does well enough but offers no big surprises. The final track, “Stop,” is sparse but ends beautifully and was a good choice to close Adams’ latest offering. Taken as a whole, “Cardinology” satisfies, but isn’t sating too many fans’ appetites for something great. This is certainly Ryan Adams, but I don’t think it’s simply this particular holiday season that leaves me wishing for “Halloweenhead” and older material.